Summer is just around the corner and here at St. Catherine Labouré Church we are planning an exciting Vacation Bible School (VBS) adventure for your kids! Are you looking for a safe, friendly and fun environment for your kids? Then sign up for VBS today! This fun-filled Vacation Bible School is for kids from 4 years old to 6th grade (as of fall 2018). 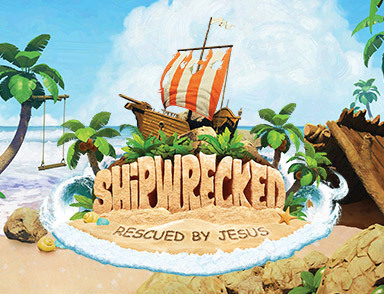 This year’s program is Shipwrecked “Rescued by Jesus” a fun and engaging adventure where children will have a great time with lively songs, hilarious skits, creative crafts, and exciting games, Bible stories and tasty snacks – all of the things that make VBS so much fun for children. But most important, they’ll learn that Jesus carries them through life’s storms. Middle and High school students are welcome to volunteer along with adults. If you would like to help with crafts, decorate the hall and classrooms, teach, or help with snacks, and other opportunities as well, please contact Kathy Keith at kkeith@stcatherinelaboure.net or call (858) 278-0587. Registration and youth volunteer forms are now available online. Click the button below.